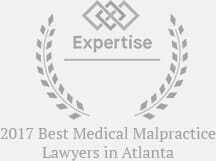 Our attorneys together have over 75 years of experience negotiating and litigating many different auto accident injury cases for those in Atlanta and surrounding communities. Many of our lawyers have previously worked for auto insurance companies. We know how insurance companies work. We know the strategies they use. This category of damages includes measurable compensation. Medical expenses, lost wages, vehicle damage, rental car expenses and more. This category of damages measure your diminished quality of life post-accident. Scarring on the face or body, mental pain, shame, disfigurement and mutilation are common types of general damages. 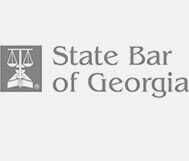 Punitive damage may also be recoverable in situations involving a drunk driver or hit-and-run. Upon our representation, we will immediately conduct an investigation, notifying your health insurance company provider and your medical providers. We will also request your medical bills, certified copies of all of your medical records, and each and every medical note and office report. Call today to schedule an appointment: 770-865-8654 or 770-865-8654. We offer free consultations and contingency fee arrangements. We also help with wrongful death lawsuits. Find out today.